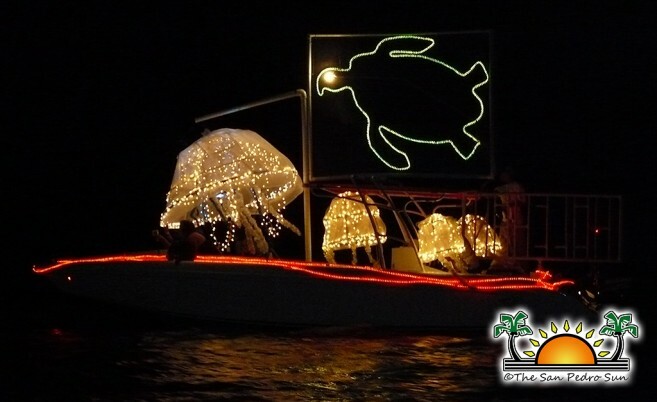 Home » Entertainment » 2014 Lighted Boat Parade in full swing! 2014 Lighted Boat Parade in full swing! Back by Popular Demand - The San Pedro Holiday Lighted Boat Parade will be held on Saturday, December 6th starting at 6pm until around 9pm. This traditional event introduces the holiday season and brings us into the holiday mood with a fun event filled with twinkling lights, children's laughter, and Christmas carols. 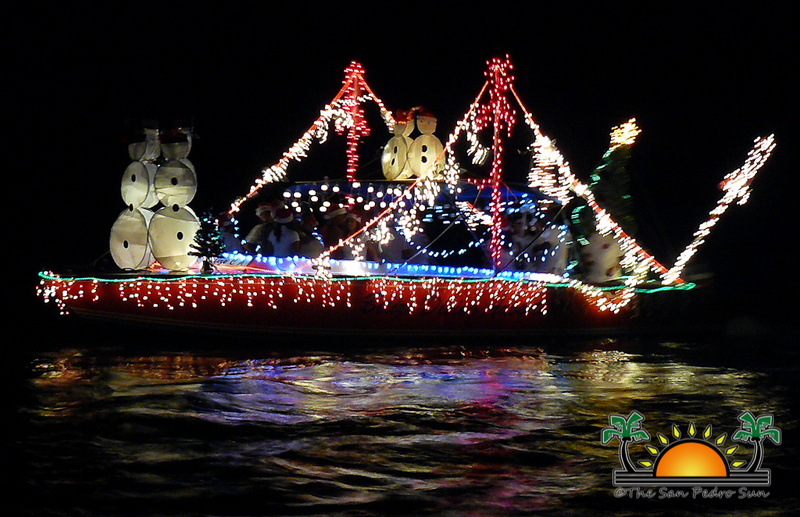 The dazzling boat parade will start at 6pm and span from Wayo's Beachside Bar, Boca Del Rio to Caribbean Villas Hotel. Our community will have amazing views of the festive boats from all over town! The Central Park Block Party will feature plenty of booths where you can buy food, special holiday drinks, gift items and fun activities such as taking your family pictures with Santa! The San Pedro Business Association (SPBA) Holiday Lighted Boat Parade committee invites all businesses and individuals in the community to consider donating to the event or offering sponsorship to ensure that this event is successful and that the tradition may live on. For details on how you can support and join this fun event please contact the SPBA by sending an email to [email protected] or calling Coqui Alamilla at 226-2799 or Christine Syme at 636-0522. Boat Entry is FREE - just sign up, grab some friends, decorate and join us. You may win a prize and we know you will have fun! Current supporters are: Minister Herediaʼs office of the Belize Tourism Board, the San Pedro Town Council, Caribbean Villas Hotel, Wayoʼs Beernet, Chuck and Robbieʼs Dive Shop, Carlo and Ernie's Runway Bar, Cholo's Beach Bar, QuickSilver Messaging Service, Sandy Toes Beach Bar, Estelleʼs by the Sea, Caye Management, Seaside Real Estate, Sunrise Realty, The San Pedro Sun and Reef TV. Holiday Lighted Boat Parade is a GO! Photos:Solani Graniel is Miss San Pedro 2013-2014!